The Five Fears: And Public Speaking is only #Five! 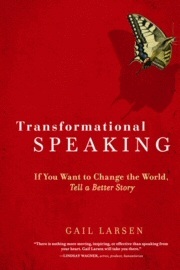 The early months of this year were full with the launch of Transformational Speaking–Online! So my article today is about one of the challenges we address throughout the course: the fear of speaking. Be sure to continue reading as there is a short video to help you center yourself on the spot! Sometimes we stop ourselves from speaking our truth because fear rises up and shuts us down. You’ve heard it said that public speaking is our number one fear. After experiencing this myself for more than half my life, I was pleased to learn that Buddhism lists five top human fears, and “fear of speaking in front of a public assembly” is only the fifth. At first I found that comforting–until I realized that we could accomplish all five with one unfortunate speech! So it’s no wonder fear looms so large. So what can you do to transform fear from enemy to ally, and turn fight or flight into flow? The first thing is to acknowledge your fear. Fear is normal and even the greatest of speakers experience fear before they get on stage. Honor that sensation you identify as fear with preparation and practice and begin to recognize the surge of energy in your body as a signal that you’re ready to go “on.” For those of us who are soft-spoken, especially, we need that extra energy to show up fully in front of an audience. I never speak to an audience without first feeling my feet on the ground. Helps me get out of my head! To create a clear column of energy within yourself so your delivery is authentic and powerful, focus on the connection of your feet to the ground.Take time to breathe in that earth energy. Once you feel the energy in your feet, envision it moving slowly up through your core. Pull it up through your body until it reaches the crown of your head, then extend that energy towards the sky. Now imagine capturing that energy by lifting up your arms above your head. Direct the energy flowing from the sky down through your core, circling your arms above you and using your hands in front of you to push it down through your core and back to the earth. Once you’ve reached the ground, stand up and breathe into your wholeness and feel the fullness that is present. 2. Breathe into your core. Find your power, presence and passion in your body and breathe into that space. To do this, contract your lower abdominal and gluteous muscles and imagine grounding into this area of your body. Then focus on your upper body, dropping your shoulders back and down giving space across your chest and collar bone. Notice the soft area between your ribs and breathe deeply in that space (solar plexus) while keeping your lower body contracted and your upper body relaxed downward. Breathing in this space allows you to remain anchored and centered. 3. Reflect on how you want to feel. Once you have taken the time to ground yourself and feel your center, ask yourself: How do I want to feel? Present? Connected? Alive? In the flow? That my presence here adds value and perspective? It is a familiar axiom in speaking that“They won’t remember what you said but they’ll remember how you made them feel.”The feeling your audience receives from you comes from the foundation you build daily. You must know the original gift you and you alone bring (more about that in the next newsletter) and the message only you can share. When you get up on that speaking platform, you are only as strong as your internal state, amplified by the communications skills you choose to develop each day through all your interactions with others. 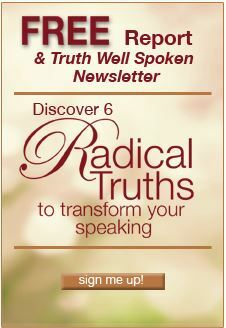 5 Responses to The Five Fears: And Public Speaking is only #Five! Thanks, Gail. I have done alot of breath work but this is a new concept, which is very helpful. Karen, the breathing exercise in the video seems to be the most helpful for many. Glad you like it! What helps me when I do public speaking is connecting with the essence of what I want to convey and feel the excitement about sharing something I am passionate about with others. If I focus on the opportunity to share rather than the Ego concerns of “will I make a mistake” or “will they like what I will say” then I stay connected with my deeper purpose. The irony is that the more we let the Ego concerns get in the way, often the worse we do. So my suggestion is to stand tall in our message and convey our passion and who cares if we make a mistake – we are only human. This week I’ve been working with people who are struggling with fears of going out on the stage of internet. Of course it’s very different on the level of the body–hunched over the keyboard, hesitating to click that Send button, vs the physical exposure of walking out on stage. But I believe breath work and reconnecting with purpose is equally important in giving us courage to face the digital audience. 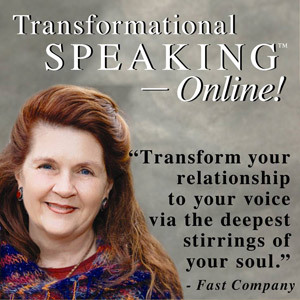 I appreciate that through Transformational Speaking Online I am connecting with my purpose and my truth, and finding new courage to express my message online. Thank you Gail! "Anyone who attends this exceptional program and experiences Gail Larsen's stewardship will definitely increase their communication skills and trust their own authentic expression."